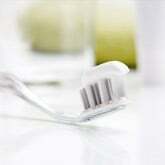 DentalPlans.com provides a hassle-free way to find an affordable dentist in Trabuco Canyon, CA. Enter your ZIP code above to access the discount dental plans and participating dentists in Trabuco Canyon, CA. Sign up for the plan that is right for you and take advantage of dental care discounts at dentists like Dr. Gregory J Herd. Once you've joined the best dental plan for you, schedule a dental appointment with Dr. Gregory J Herd in Trabuco Canyon and obtain deep discounts on General Dentistry and other dental care services. At DentalPlans.com, our discount dental plans start at only $79.95 per year and can provide you with significant savings on most dental care procedures like on General Dentistry and more. Our vast dentist database has an enormous selection of general dentists, orthodontists, oral surgeons, periodontists, pedodontists, endodontists, and prosthodontists! So if you want discounts on oral exams, cosmetic teeth whitening, braces (orthodontics), root canals, crowns and more, DentalPlans.com is a great resource for locating Trabuco Canyon dentists and dental care specialists.